The amount of sophisticated cyber attacks that organizations are experiencing today call for new levels of security. 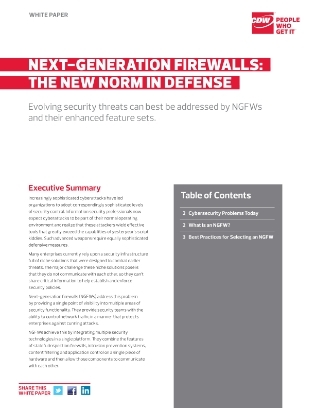 One of the best ways to combat issues is with next-generation firewalls (NGFWs). This solution provides a single point of visibility into multiple areas of security, and uses one platform.